Tickets go on sale this Friday, August 24th at 10 a.m. local time. The 12-city tour is just the latest milestone in a career-defining year for the 18 year old. The heartthrob recently finished his stint as direct support for Chris Lane’s Take Back Home Tour and Granger Smith’s Don’t Tread on Me Tour. His latest single, “How Does It Sound” is currently impacting radio and has even racked up over 11 million Spotify streams. Whether it’s his natural ability to write a genuine song or his ability to produce viral content, one thing is certain…the world wants more Dylan Schneider! 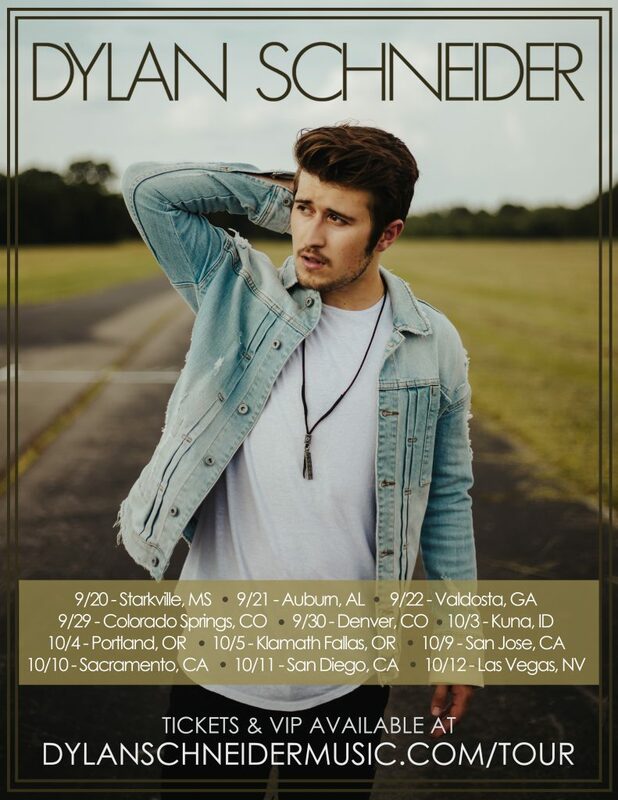 For a complete list of tour dates and more information on Dylan, visit www.dylanschneidermusic.com and follow him on Facebook, Twitter and Instagram.